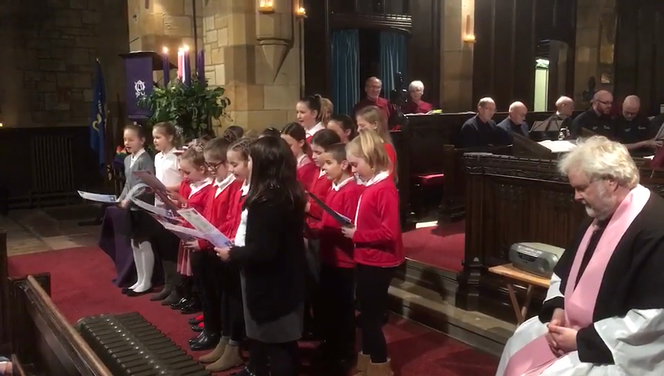 St. Peter’s Church of England Primary School enjoys an excellent and close relationship with St. Margaret’s Church, the Anglican Parish Church of Brotton Parva. In return, St. Margaret’s certainly values its links with St. Peter’s, as it does with Badger Hill Primary School, Kiltonthorpe Specialist Academy and Freebrough Academy, as well as with the wider community. Members of St. Margaret’s are active members of the School’s governing body and are involved in various aspects of the school’s life. As the Rector of St. Margaret’s, it a privilege to be involved in the life of the School, in leading Collective Worship, working with the Worship Team to arrange and conduct Collective Worship for the major Festivals of the Church’s year and to be part of the ‘Rights Respecting Group’ as they work to implement the right of the Child. It is also, not just for me but for members of St. Margaret’s, a privilege to work alongside a committed and caring staff, a staff that is committed to the learning and welfare of your children, in so many different and imaginative ways; this commitment we have seen through the recent Ofsted report and through our working relationship with the Diocese of York. Many, many things happen throughout the year that link St. Peter’s and St. Margaret’s, too many to mention. Nevertheless, I know that the relationship is as Strong as it has always been and I pray that it will continue well into the future. Holy Baptism and Holy Matrimony by arrangement with the Rector, 11:10am on a Sunday morning (not 2nd Sunday) after the Eucharist.